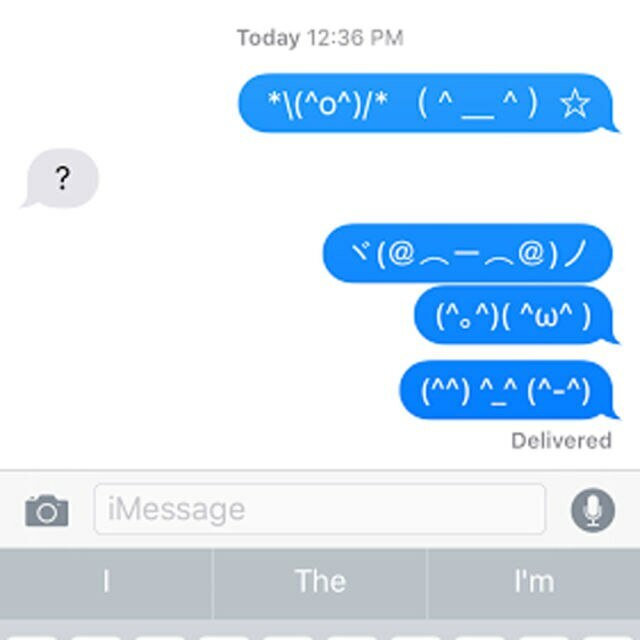 The geniuses over at Mashable discovered a goldmine of emoticons already living inside your phone. 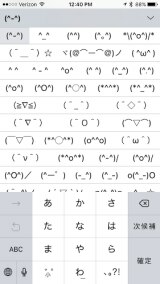 The little symbols are actually under the Japanese keyboard and to access them, you simply change your settings the same way you did to originally add emojis forever ago. Seriously, it's that easy. Go to Settings, General, Keyboard, Keyboards, Add New Keyboard, Japanese, and finally, Kana. Once you've added it, go back to your messages and hit the little globe as usual. Right next to the microphone, there is a lil happy emoticon face. Click on him and prepare to have your world rocked. Who the heck knows what any of this means, but it will change your life regardless. When life is good and you don't know how else to express it, boom: ☆*:.｡. o(≧▽≦)o .｡.:*☆. When you are full of despair but can't find the words to explain, bam: ＼(^o^)／. When you encounter a train of six penises strung together and are running frantically for your life, voilà: ε=ε=ε=ε=ε=ε=┌(;￣◇￣)┘. Or just use them to scare all your friends.